West Coast transplants might scoff at the outsized reaction to an undersized shake, but any seismic activity in our part of the Hudson Valley re-ignites worries among opponents of the Indian Point Energy Center. The power plant sits on the Ramapo Fault and the recently identified intersecting Stamford-Peekskill fault line. The nuclear reactors at Indian Point are scheduled to close in 2021, but the large AIM Spectra high-pressure natural gas pipeline runs across the Indian Point campus. 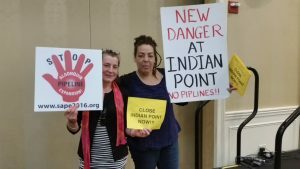 Its opponents also point to that fault line and earth movement as a threat to that pipeline’s safety. 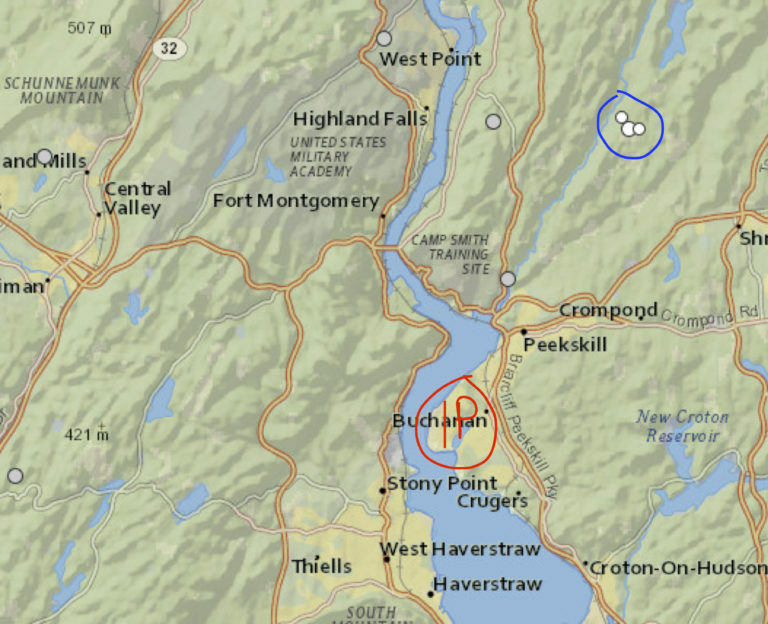 Small Hudson Valley earthquakes are not unusual. But how active are the Ramapo and other regional faults? And, more importantly, are they spawning earthquakes that put structures on their path at risk? And what about seismic activity in our heavily populated metro-NY area? 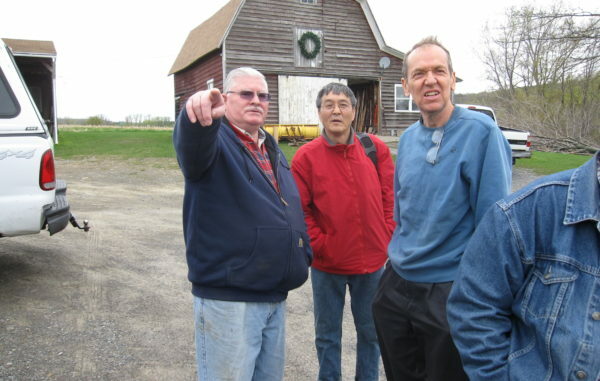 Earth Matters rang up the folks at Lamont-Doherty Earth Observatory (LDEO) in Palisades, New York, and spoke with Research Professor Dr. Won-Young Kim, for the latest on seismic threats. Earth Matters: Who monitors seismic activity in our region? Is this a federal program, or something more local? Dr. Kim: We do this here at LDEO, and I am responsible for the Lamont Cooperative Seismographic Network and its seismic stations, covering seven states, from Vermont down to Maryland. We operate a monitoring network with schools in this region, and report, as one of 10 regional seismic networks, to the Advanced National Seismic System (ANSS) led by the United States Geological Survey (USGS). Has our region (since it’s looked like it does now) ever been seismically active, like the West Coast? And how do you trace the history of Hudson Valley earthquake? For the last 100 years or so, we have seismographic records that we can examine. For the time before that, we go back to public records and other written reports, like newspapers and diaries. For instance, in 1884 there was a big earthquake in New York City’s Rockaway—Sandy Hook area, with an estimated magnitude of 5.3, and there are plenty of newspaper articles and public records for that. Written reports survive of earthquakes going back to the 1600s for our region. We can also look at trenching to find evidence of earthquakes in prehistoric times. For example, the Ramapo Fault is an old one, dating back to about 250 million years or older. We can look around that fault to see if there is any recent movement. In the end, we do not have a highly active area, like Alaska and California. Once every 10-20 years we have a magnitude 5 earthquake in the tristate area, and then once every 2-10 years a magnitude 4. Smaller ones occur more often, larger ones less often. That’s about the range of seismic activity. So it’s not a very active area. 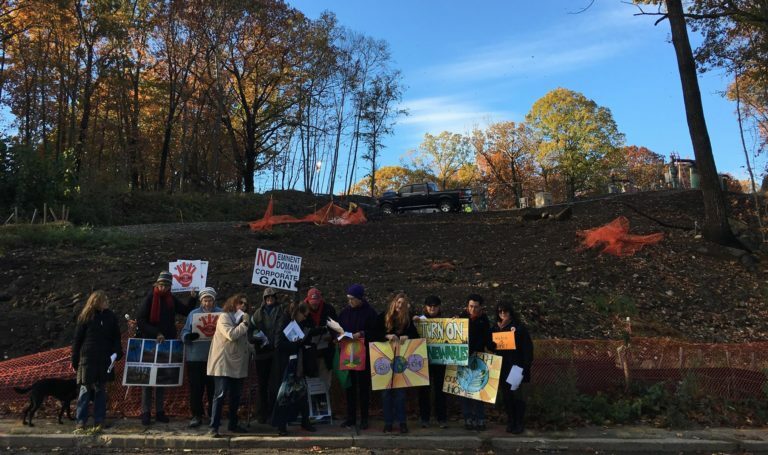 Riverkeeper and other Indian Point opponents have pointed out that the nearby Ramapo fault line, which intersects near the nuclear site with the Peekskill-Stamford fault, puts the nuclear site in a risky spot. Is the area of that fault line getting seismically active lately. The Ramapo Fault is an old fault, running down to the New Jersey Highlands. Along that fault there are some earthquakes occurring, like the one two weeks ago. I don’t think there’s any danger, based on any known past earthquakes, to the power plant itself, but I think the larger problem is that this facility is close to massive population centers, and it would be better to have it farther away. 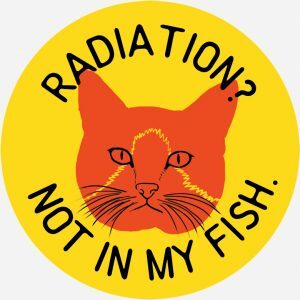 But one concern we still have is the highly radioactive used waste fuel there. 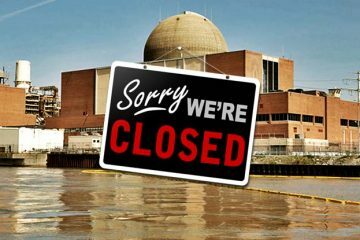 It’s is now being stored in the ground at Indian Point, because the national depository in Nevada is opposed by residents, who object to having the entire nation’s nuclear waste stored in their backyard. 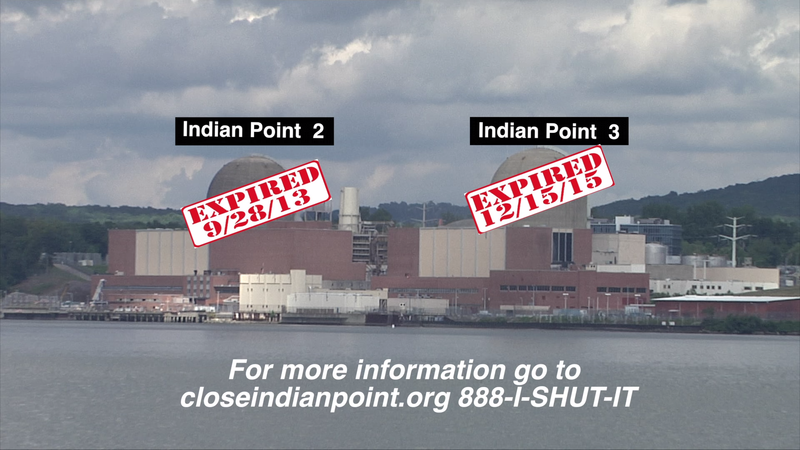 The used fuel in the ground at Indian Point may be more vulnerable to any shaking of the ground. This should be taken care of right away. The national repository in Nevada seems like the ideal location, because it has already been a nuclear weapons test site, but it’s been difficult to reach a consensus among local residents, as far as I understand it. There’s the large AIM-Spectra high pressure gas pipeline sited on the Indian Point campus and near the intersecting fault lines. Opponents point out the extreme danger from a potential rupture just 105 feet from the nuclear plant structures. What risks do the nearby fault lines or earth movement post to the gas pipelines? The Ramapo fault is not active, as far as we know, so it would not pose a risk of serious shaking induced by an earthquake. But in Westchester County and elsewhere here in recent years we have had magnitude 4s, so there can be some significant ground shaking. The main facility might not be in danger, but pipeline connectors and other weak points would have to be continuously monitored. Once an earthquake occurs, we at LDEO, or the USGS, or ANSS, would produce ground shaking level maps. Pipeline companies can look at the maps and see quickly whether their facility has sustained a level of ground shaking above what they were designed to withstand. So there is some interaction between what earthquake scientists, monitors and engineers produce, and what commercial enterprises are doing. This pipeline could be fine, in most ways, but environmental groups have their point of view too. Is there any reason why our region would become more seismic in the future? Could seismic events in other regions (like “the really big one” in the Pacific Northwest) have any effect on our region’s activity? Events on the active West Coast “ring of fire” region would stay localized out there. We are in a stable continental region, bounded by the Atlantic Ocean ridge some 2000 miles east, and a large plate boundary 2000 miles to the west in California. We are right in the middle of those two plate boundaries, so we are in a stable area. But even though we are considered a more stable region, we did have a magnitude 5.8 earthquake in Central Virginia on August 23, 2011. They’ve got 250 years of records in Virginia, and not one report of an earthquake of magnitude greater than 5 in central Virginia, and suddenly one day there was a 5.8. I went down to the epicenter that same day. Luckily, it was a less populated rural area. I saw many houses with chimneys crumbled and a few houses with walls tumbled down, but nobody hurt, and no serious damage. They were very fortunate. But in terms of the size of the shaking, remember how it damaged the Washington Monument in D.C. If a magnitude 5+ earthquake, like the one in 1884, happened again in New York City, we could expect a lot more damage because of high-rise construction, especially in Brooklyn and Queens, which are sitting on loose soil, and not on solid bedrock, like Manhattan and the Hudson Highlands. An area with a soil “basement,” like Mexico City, built on an old lake bed, will suffer more damage from the shaking. So, we can never say there’s no danger; we can’t say that it won’t happen here. We are a stable area, but nevertheless there are areas here with weak points where an earthquake can happen. It’s more difficult to monitor and pinpoint potential earthquakes here than in California, where we know that there are major faults like the San Andreas, and small ones like the Heywood Fault in the Bay Area. Those are moving, and are concerning, and must be monitored carefully. Here, we have vast areas of low seismicity, with some widely-scattered areas that produce small earthquakes. The hydraulic fracturing, or “fracking” industry in Oklahoma has been causing earthquakes there. New York State has a moratorium on fracking, but there’s lots of fracking activity not too far away, in the Marcellus Shale region of Northeastern Pennsylvania. Could that cause any earthquakes in our area, or in another part of New York? And just what causes these kinds of earthquakes? Earthquakes would not be caused here by fracking in Pennsylvania, or in Ohio and other areas. But they are not usually caused by hydraulic fracturing itself. When you inject a large amount of salt water fracking fluid under high pressure to break the rocks, you are making micro earthquakes, and then the natural gas stored in the rock is released. Sometimes when these high pressure fluids used in fracking escape through a fractured rock to a nearby fault it can induce an earthquake. A bigger problem comes when the salty fluid comes back out after the natural gas is released. This water has to be put somewhere. 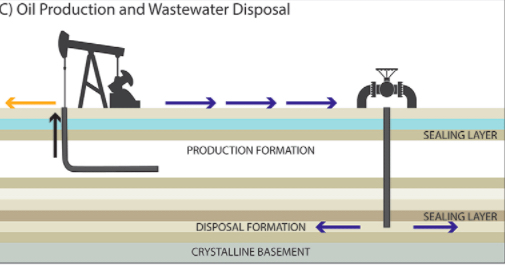 They may bring it into a nearby area where they’ve made a drill hole called a “deep injection well” to dispose of the waste fluid. Usually these are safe, and put the water deep underground. But occasionally they encounter a hidden fault. The water interacts with it and weakens the fault, creating an earthquake. The larger earthquakes occurring nowadays in Oklahoma are caused by these injections, not directly from hydraulic fracturing itself. In Youngstown, Ohio, in 2011, there were some small earthquakes. I went there, and we deployed a portable monitoring station, and determined that this happened because of a deep injection well. So the state of Ohio ordered the operation to stop, because there was no other cure for this problem. Ohio now has regulations that require a hydraulic fracturing operation to be monitored closely for seismicity for several months, and only if there is none can they continue. In Oklahoma, however, it’s oil-business country out there, and the state was unable to do anything about it. Now the earthquakes are out of control. They are creating more small earthquakes there and in southern Kansas, than in California. It also started in 2011, and just about a year ago they had a quake of 5.8 magnitude. And it’s largely because of the injection of these waste fluids.